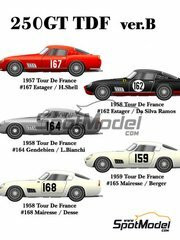 Do not hesitate for long, because it is a very short run. 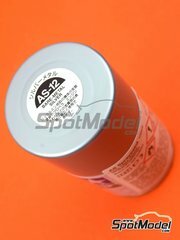 Drive by SpotModel and order yours !!! 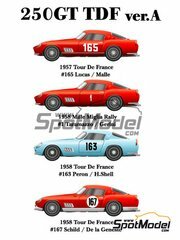 New time-limited reedition of the Ferrari 250GT TDF scale model kit, exactly as it raced in 1957, 1958 and 1959. 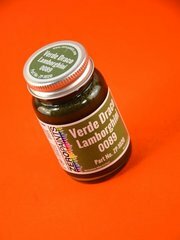 Lamborghini Green Draco tone paint (code 0089), served in 60ml bottles and ready for airbrush use. 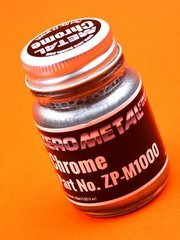 The most eagerly awaited 30ml color, the Zero Paints airbrush ready Chrome. 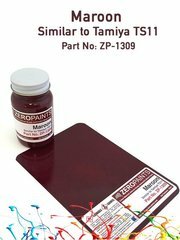 We just love it!!!! 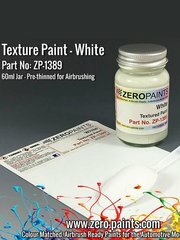 Airbrush paint specifically formulated by Zero Paint to match Tamiya TS-11 spray color. 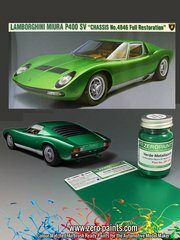 Metallic green tone accurately formulated to match the paint of the Lamborghini Miura P400 SV with chassis 4846 presented a few months ago by Lamborghini. 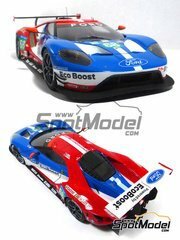 A fascinating scale model kit of the winning car in its category at the 2016 Le Mans 24 Hours. Are you going to miss it? 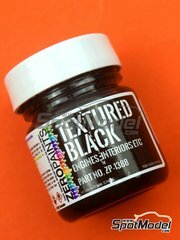 Metallic spray paint, specifically designed for the metal-like finishes used in the fuselage of all types of aircraft. 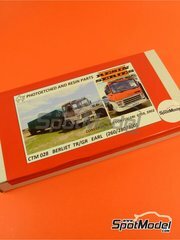 Transkit for the early Renault / Berliet trucks, including traditional photoetched parts, full color printed photoetched parts, and resin parts. 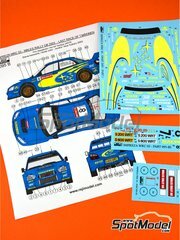 Reedition of the Subaru Impreza decoration piloted by Climent and Romani RAC Rally in England. 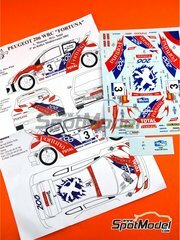 Reedition of the Peugeot 206 WRC decoration premiered by Monzón precisely in that rally. 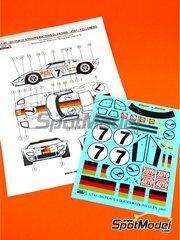 Time limited re-edition of the GT40 decoration of the rocket that finished fifth at Watkins Glen 6 hours in 1969. 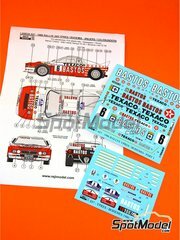 Set of two decal sheets for recreating the Lancia 037 decoration sponsored by Bastos that was used in both the YPress Rally and the Bohemia Rally in 1986. 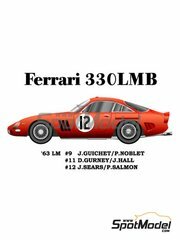 Decal based decoration for use with the different Ferrari 330P4 kits, matching the car that raced with number 23 at Le Mans 24 Hours. 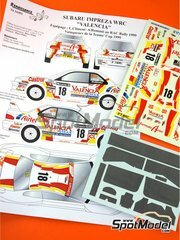 Set of two decal sheets recreating the decoration of the triumphant winning car at the 2003 Tour de Corse. 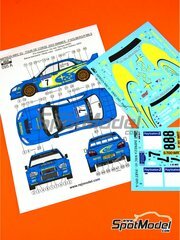 Set of three decals sheets for decorating the Subaru Impreza WRC just like Mäkinen drove it for the last time in the World Rally Championship, exactly at the Walles Rally in 2003. 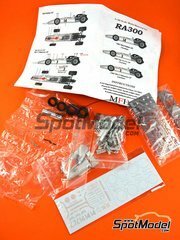 Time limited reedition of the Honda RA300, incredibly reproduced by MFH in 1/43 scale. 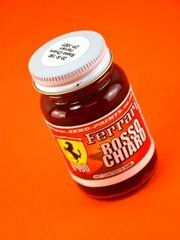 Ferrari Rosso Chiaro tone matching color code 20-R-190. Served in 60ml bottles. 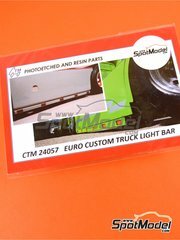 Light bars are used mainly in European truck cabins for improving the aesthetics of the vertical pontoons. 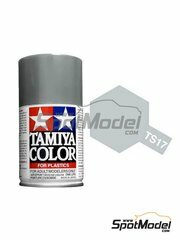 As easy as using these photoetched parts and some of the chassis paint to give your scale model an infinite better look. 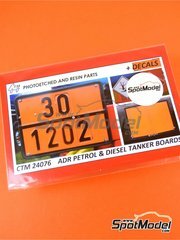 Add a touch of realism to your scale model trucks with these dangerous goods plates, including a decal sheet and photoetched parts.